Steven P. Unger shares his obsession with all things Dracula in this painstakingly researched and mostly enjoyable read. In the Footsteps of Dracula: A Personal Journey and Travel Guide is a work of real dedication by an author whose sole intent is to bring his reader as much Dracula-related information as one man can manage. He succeeds. Rarely has a travel book been this gripping. What makes it work is not so much the subject matter as the author’s passion for it. Even more important, Unger appears to have equal amounts of passion for both the fictional Dracula of Bram Stoker’s famous novel and for the horrific real story of Vlad the Impaler, the character’s basis in fact. I thought I knew a lot about both Stoker’s Dracula and the real Vlad, but this book contains obscure and even surprising information that was new to me, and most likely will be new to you as well. Not only that, but haven’t you ever wondered what inspired Bram Stoker to write his infamous novel? How was the book Dracula received by the public when it was first published in 1897? In the Footsteps of Dracula tells us. The first leg of Unger’s journey, England, is a fascinating trek through a modern-day version of Stoker’s own country. He traces the journeys of Dracula from the Yorkshire coast to London with painstaking detail and relevant references to Stoker’s novel. But it’s his trip to modern-day Romania where Unger’s book truly takes off. It’s fascinating to learn how Romania remains a mysterious land, not so dissimilar to Stoker’s version, a nation where it isn’t unusual to still see “peasants” traveling by horse and dwelling in the same building that were there all those years ago. As if his conversational prose wasn’t enough to carry the reader through the book’s 250 pages, Unger also includes over 180 photographs taken by him at the various locations he visits. Some readers may feel there’s a loss of detail due to the black and white images, but that serves to enhance the mysteriousness of the subject matter. Having captivated us with historical tidbits and literary references for the rest of the journey, Unger brings it all back down to Earth in the last chapter. There you will find a practical guide for following in the author’s footsteps with an itinerary that includes pricing. One assumes this section will be updated every so often. In the Footsteps of Dracula is a wonderful addition to any horror fan’s library. It is interesting and even fascinating, and if you are an “armchair traveler,” then this book is for you. 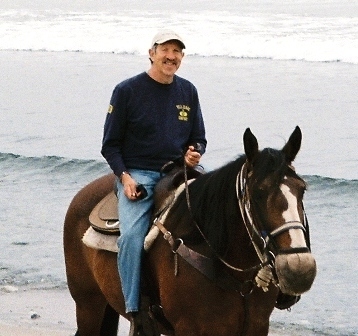 Steven P. Unger has traveled extensively in North and South America, Western Europe, Israel, and Romania. 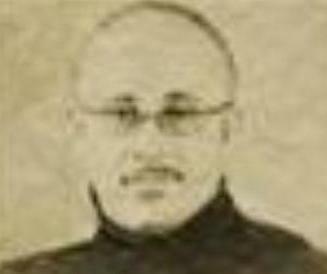 He has been published in numerous travel and bicycling magazines. 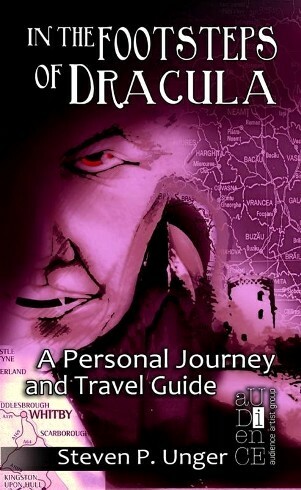 His book, In the Footsteps of Dracula: A Personal Journey and Travel Guide, 2nd Ed. Mr. Unger was one of a handful of white students at a black college, Tuskegee Institute in Alabama, and a member of the Bear Tribe, a California commune that tried sharecropping, goat herding, and living in teepees—and failed spectacularly at everything. These adventures and many more are described in his novel Dancing in the Streets. He also wrote the accompanying text and Preface for Before the Paparazzi: Fifty Years of Extraordinary Photographs, which includes over 250 pictures taken by Arty Pomerantz, staff photographer and assignment editor for the New York Post from the 1960s through the early 1990s. Dancing in the Streets and Before the Paparazzi are available from Amazon.